Devastator has a genius level intellect, he is an incredible acrobat and one of the best hand-to-hand fighters in the world. Enhanced Abilities: Devastator has upper level super human strength, speed, endurance and durability. Regeneration: Batman regrew a new arm to replace his severed one when he became the Devastator. Reactive Adaptation: Like all Doomsdays, The Devastator is able to spontaneously adjust his physiology in order to maximize it's own advantage. Having capitalized on the weaknesses of his Earth's Superman by generating kryptonite radiation from his breath alongside his virus spores, making the killing blow much more effective. Radiation Generation: Devastator can breathe Kryptonite mist at will. Toxikinesis: Like The Prime Earth Doomday, The Devastator can freely manipulate his own toxic spoor's as a tool for tactile use. Like a weapon or a conversion agent. Infection: The Devastator can convert others around him into doomsday clones loyal to him and Barbartos. Summoning: Devastator can summon spikes of his being from the ground at any time. On his home world of Earth -1, Bruce Wayne suffered a great loss and became the vigilante Batman. He went on adventures with Superman and the Justice League, but he remained paranoid that Superman would try to kill him, and so he built and collected a host of weapons capable of deterring him if he ever needed it. When Superman murdered his wife and went on a killing spree, Batman faced him with a Kryptonite spear. Losing his right arm in the process of battle, Superman went into a lengthy diatribe about how much stronger he is than everyone else. 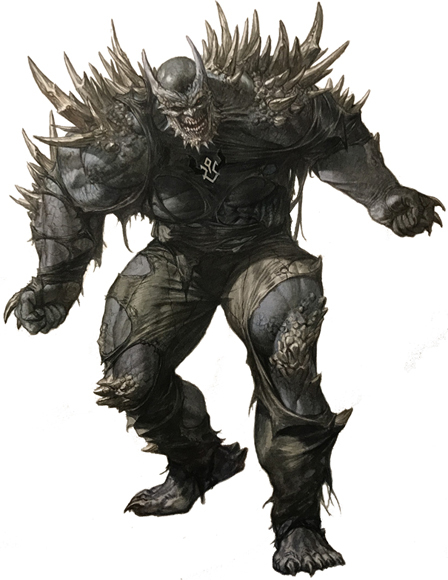 Bruce soon revealed that the spear was simply a bluff for his true weapon: a modified version of the Doomsday Virus he kept on hand, something Bruce hoped he would never actually have to use. The virus not only regenerated his arm, but gave him the power to kill his best friend and the sociopathic detachment to do the task. In his victory, the doomsday virus quickly began to spread and infect the whole that lay around him, only for the rechristened Devastator to realize it was too late to save his world, watching helplessly as it slowly degenerated and died all around him. Minutes before the eminent destruction of his Earth, he was recruited by the The Batman Who Laughs, who told him of another world, a world where Superman had not yet killed, and where his friends could still be saved and taught how evil Superman was.